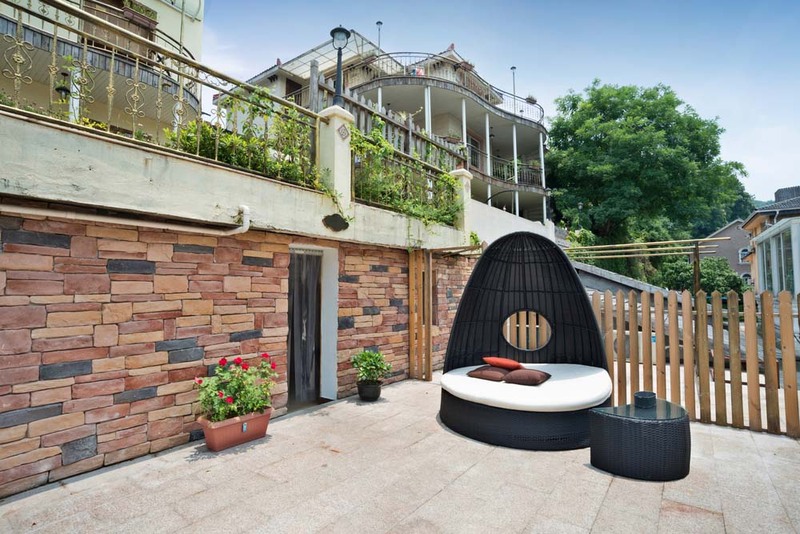 When designing your personal retreat in the backyard, implement some of these furniture ideas and make it a cozy comfortable environment. 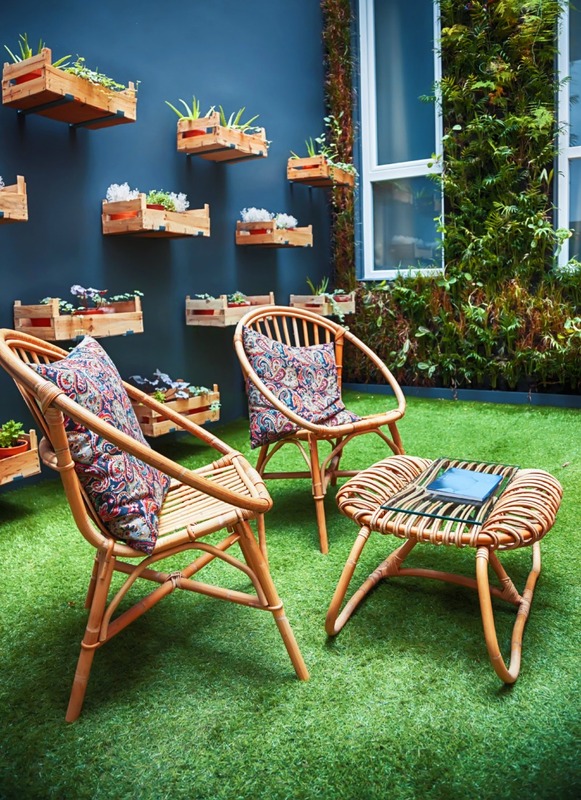 In order to really enjoy all the hard work you’ve put into designing, planting, and maintaining your garden, you’re going to need a nice, comfortable spot to sit on. 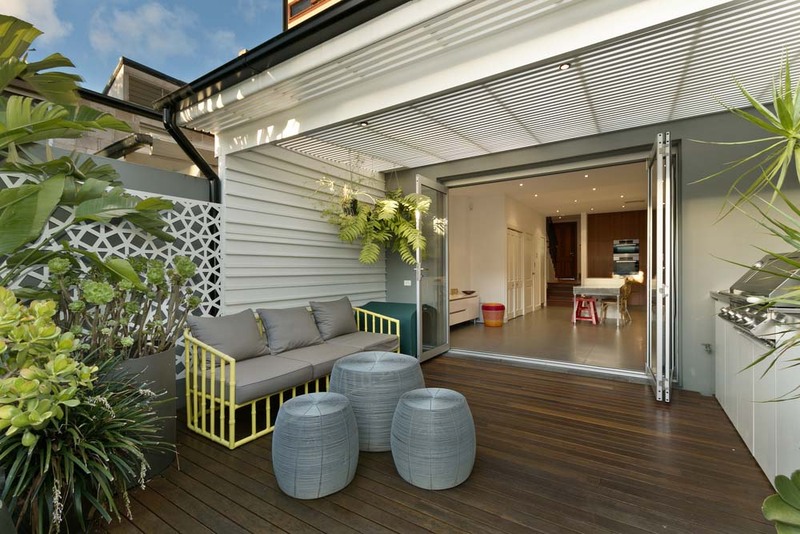 Whether your patio is large or small, right next to the home or in the middle of your garden wonderland, there are hundreds of options to choose from–and styles to fit any tastes and budget. 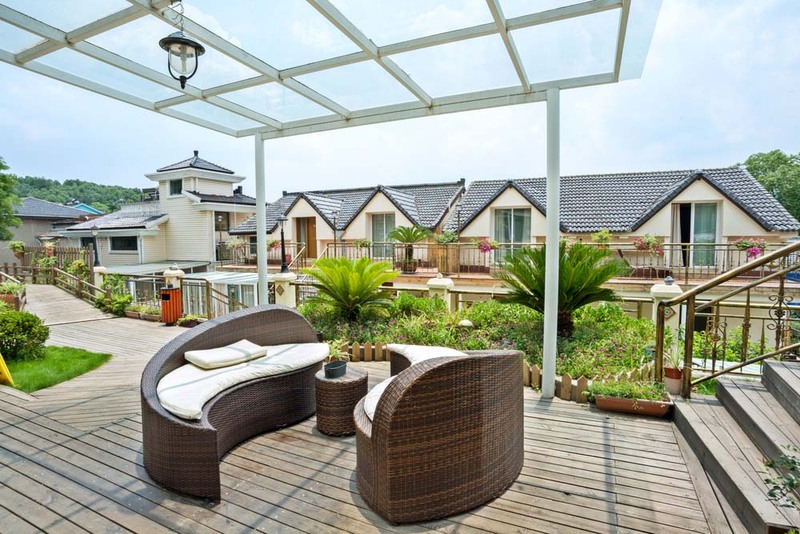 If you’re more of an entertainer, and you want to host visitors in your garden, you may opt to purchase a large glass-topped dining set with a removable umbrella stand, or a large, cozy sectional to relax and chat on. 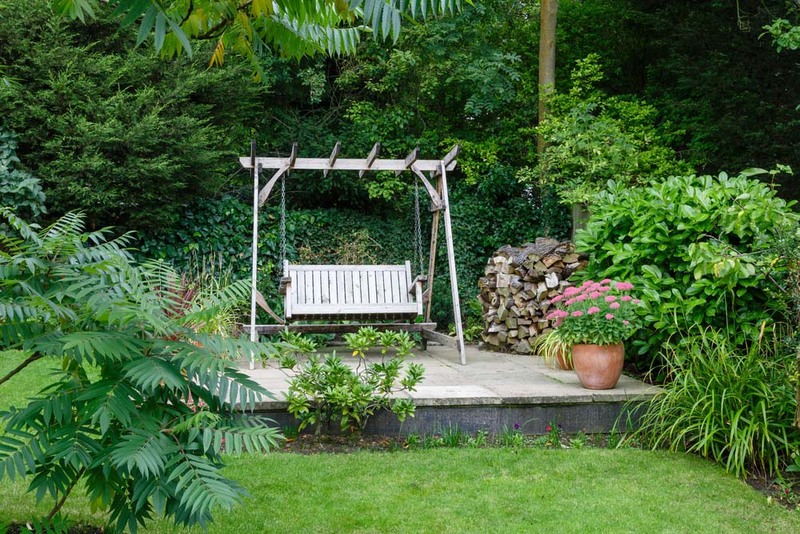 If your garden is a personal retreat, look out for the smaller single chairs, hammocks, or a suspended chair. 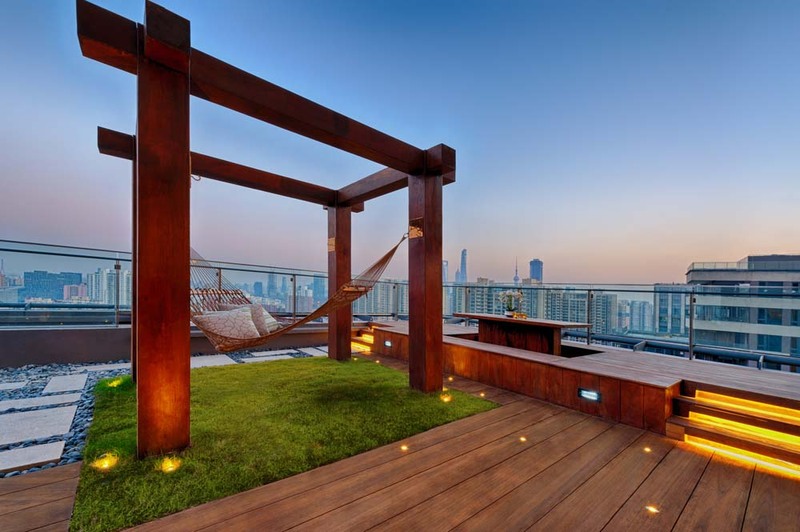 For lovers of napping in the sunshine, check out the furniture that can be converted from a chair or sofa into a nest-like bed, or opt for a breezy, swingy hammock. No matter what category you fall into, your backyard patio furniture is only limited by your imagination. If you’re a big DIYer, create your own custom furniture. Paint an old piece of furniture to make it brand new and whimsical. Just remember, it has to fit in your backyard! 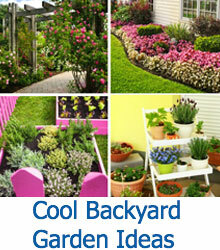 So peruse through this collection of awesome ideas and find something that piques your interest. 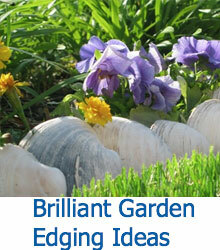 Then go and make it happen and start relaxing in your garden in style! A simple cedar table covered with a vinyl table cloth rests between three cedar folding chairs and a low-profile plush sofa. 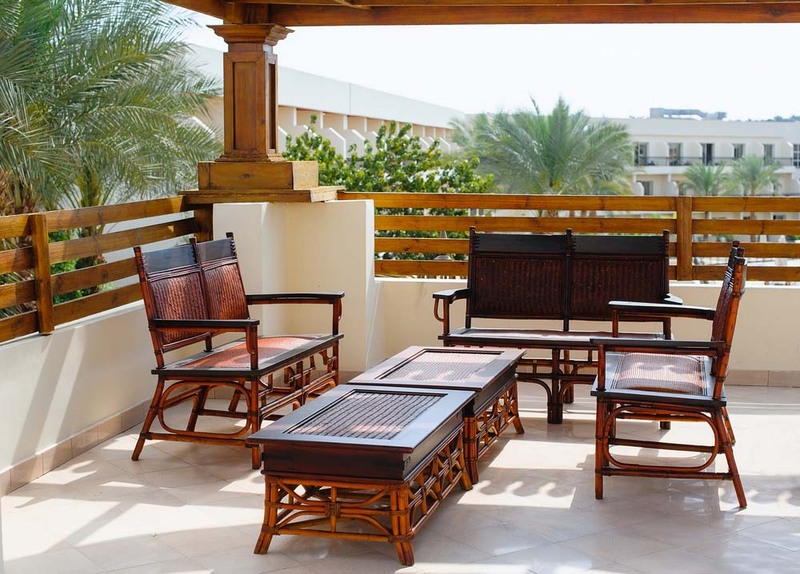 These are more suitable for covered porches or patios, since the cushions on the sofa cannot be removed and stored elsewhere during inclement weather. Suitable for dryer climates, this set of upholstered wrought-iron chairs, sofa, and tables are well-cushioned and durable. A large storage ottoman at the center serves as a coffee table as well. A flexible option that can easily be stored when not needed is a set of cedar folding chairs, a table, and a wheeled serving tray. These pieces are light enough to be carried back and forth, but suitably sturdy. 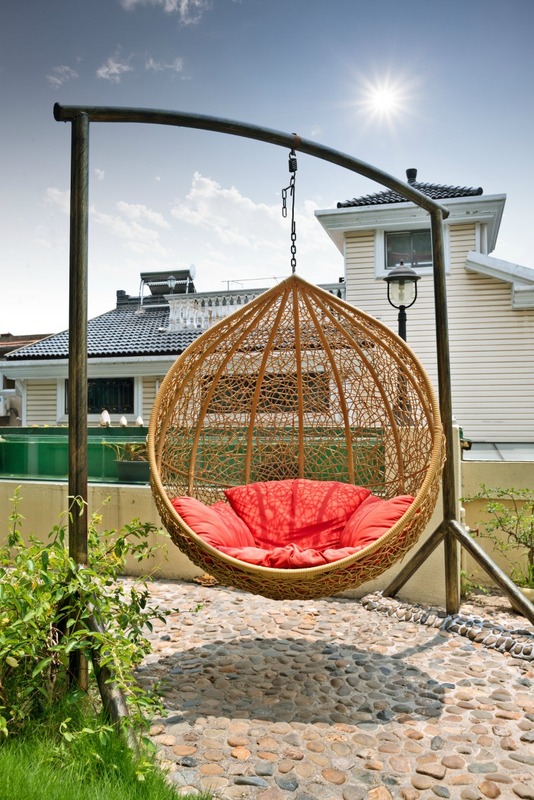 Porch swings are wonderful additions to any patio, and they allow you to rock and feel a small breeze. Swings are perfect for young and old alike, and fit nicely on any patio or on the side of a garden path. 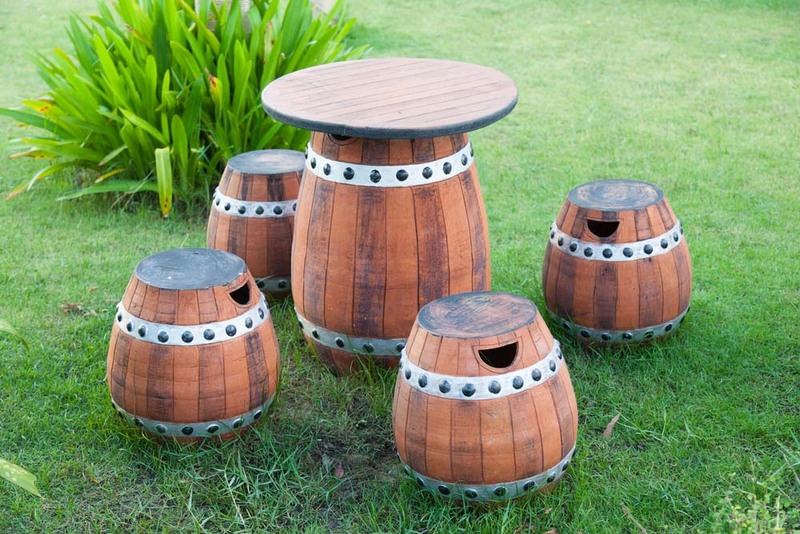 A set of tapered barrels have smooth tops and matching metal bands around the top and bottom. 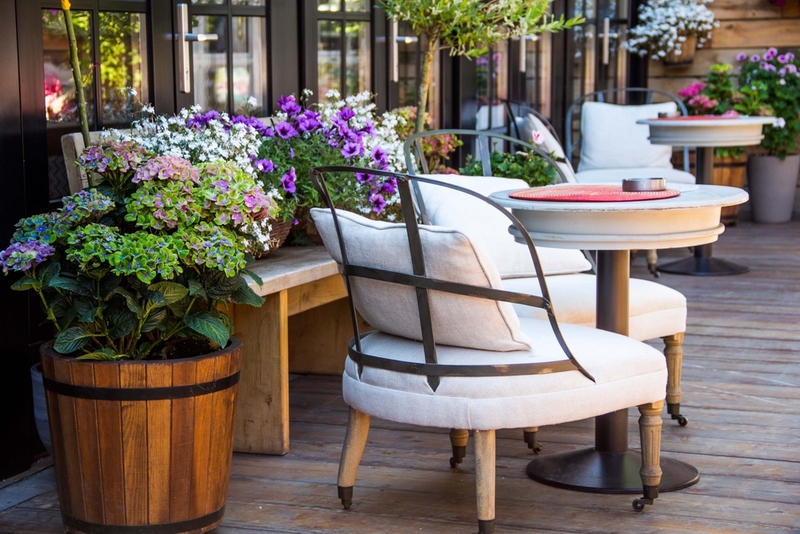 This look would be perfect outdoors on a patio or even indoors in a wine cellar. 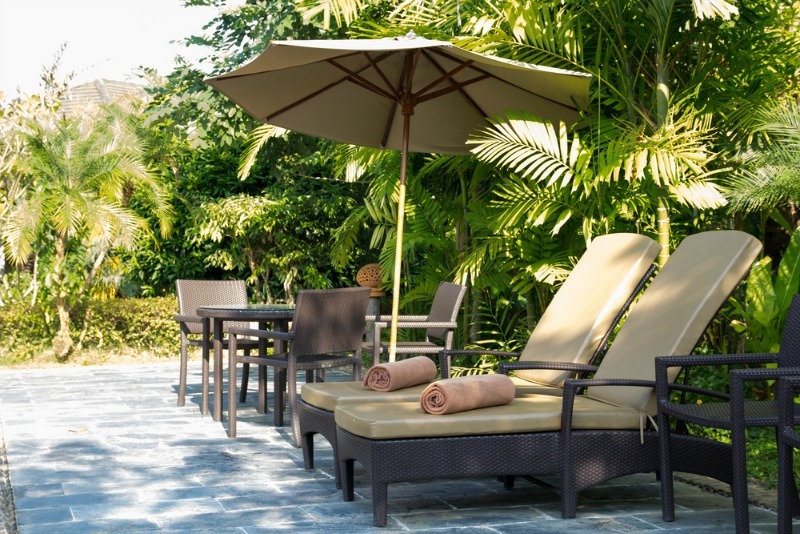 An elegant and Caribbean take on traditional patio furniture. This set includes two coffee tables and three bamboo and mahogany loveseats. 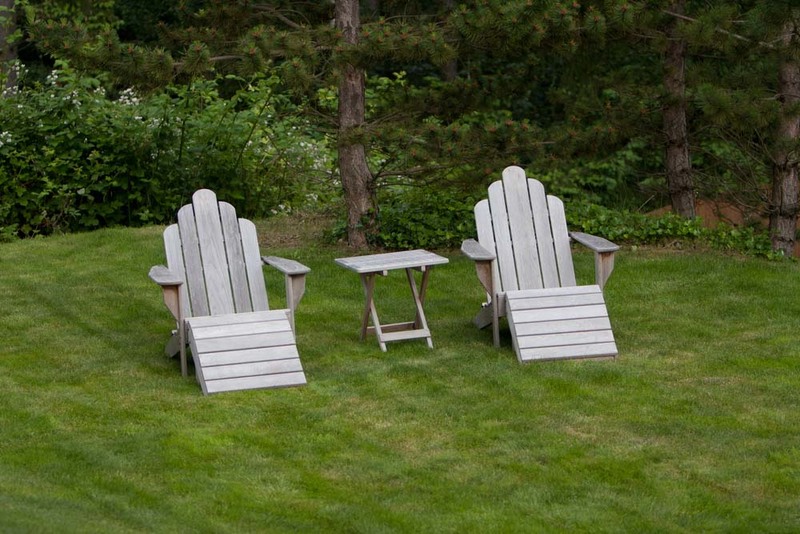 These lawn chairs don’t fold, but they are perfect for setting up on the lawn or patio and laying out to soak up some sun. The table between is perfect for setting a beverage glass on. 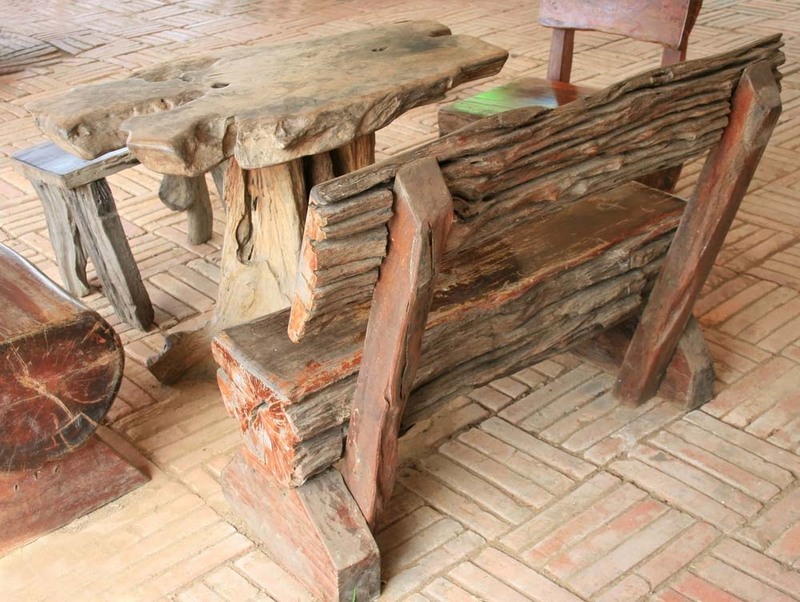 These benches and the table between are carved from logs and driftwood for a thoroughly rustic craftsman style. These kinds of pieces should be protected from the elements in order for them to last and continue looking great. 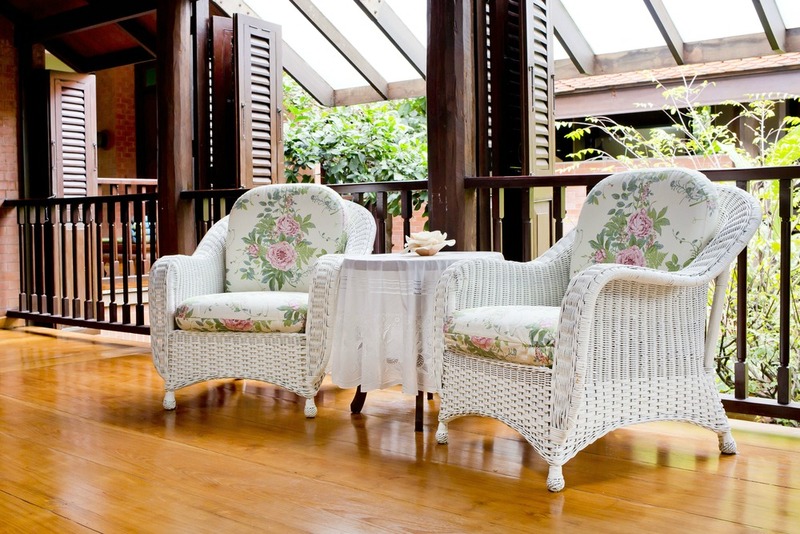 White wicker is ultra-traditional and ages well outside. Like all patio furniture, you’ll want to bring these inside during the winter. White wicker will need to be repainted every few years to keep it looking pristine. 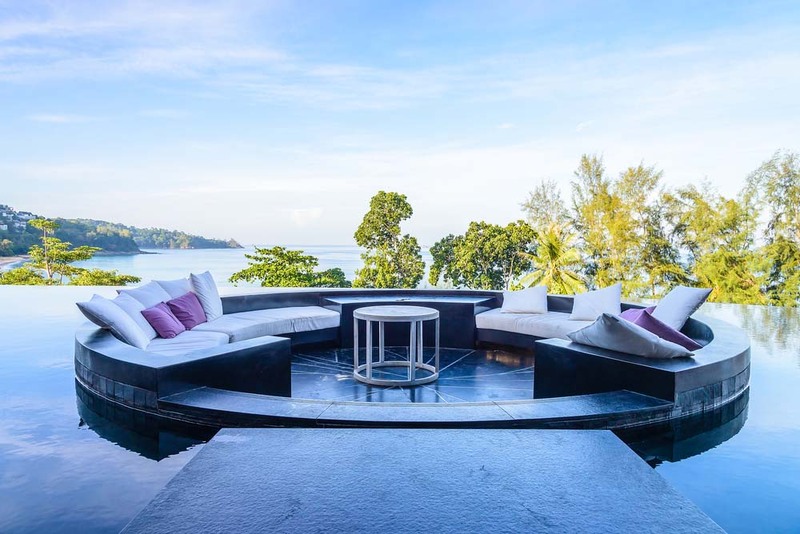 This conversation pit is sunken into an infinity pool and the edges are lined with curved sectionals and throw pillows. This is a pricey option, but undeniably breathtaking. The banded iron backs of these upholstered chairs give these chairs a unique cast. The transition between the soft cushion and the hard iron chair back allows this chair to fit into either a contemporary or a more rustic design scheme. The skeleton of this bench is bamboo that’s been painted a bright yellow. To make the bench more comfortable, seat cushions and pillows have been added. Because the pillows and cushions are separate, they are easy to replace when they get faded or otherwise damaged. 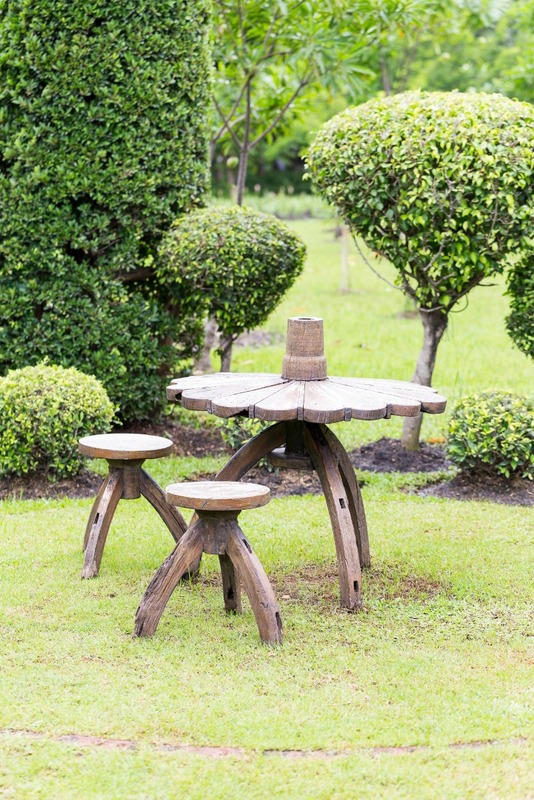 This table is shaped like a daisy, and the center is raised to hold an umbrella or sunshade. 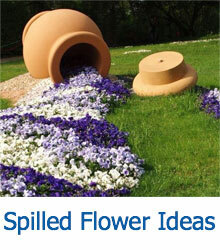 This piece works best on a sunny lawn or on an uncovered patio. 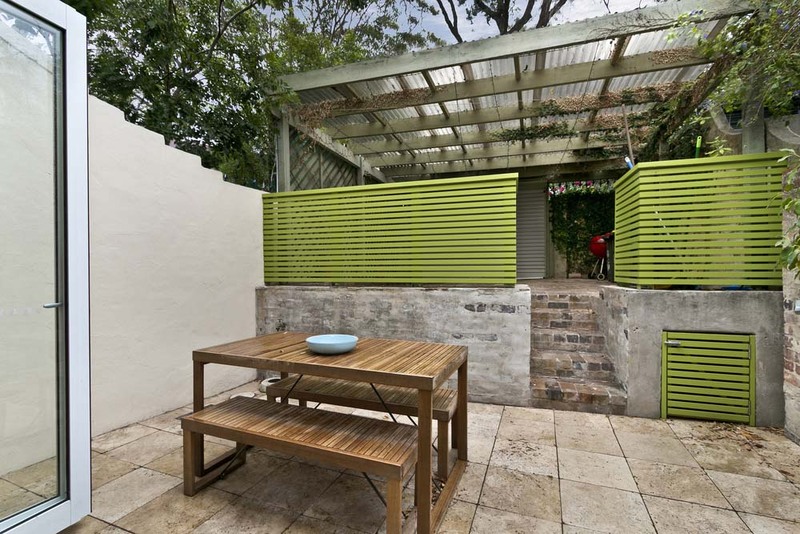 Sometimes, all a small patio needs is a simple wooden picnic bench. These last for years and are both functional and chic. Go for a table with sleek, clean lines to avoid the look of a public park picnic table. This circular lounge chair has a simple shade on the back that can be raised or lowered to your liking. The curved end table can nestle perfectly into the side of the chair for easy reach. 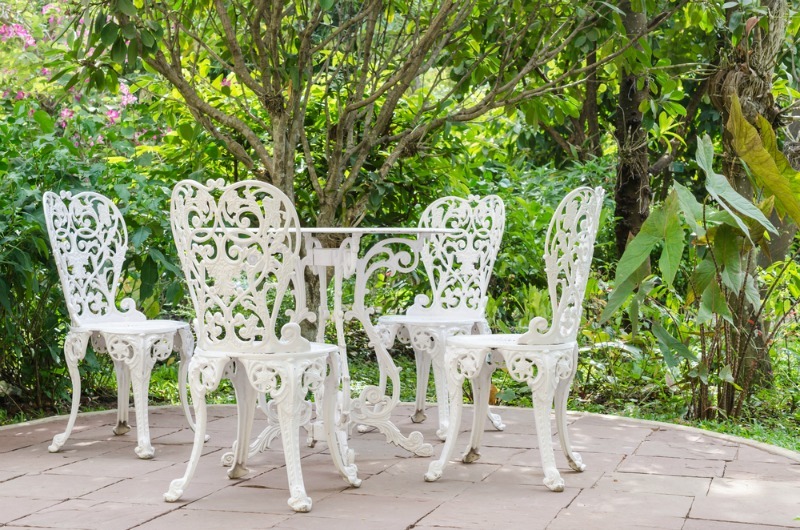 This simple wrought iron table and chairs is in pristine white. The gentle curve of the seats adds a subtle touch of vintage elegance to this simple set. 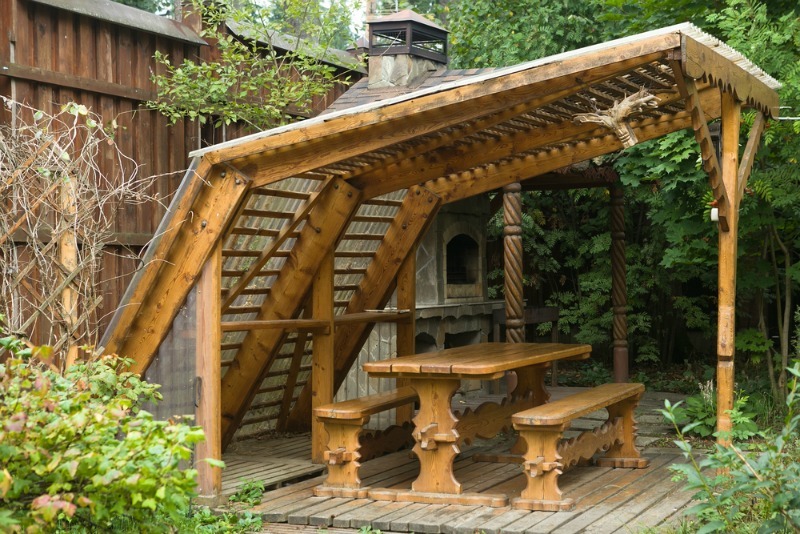 A more ornately carved picnic table is the perfect addition to a rustic lean-to shelter over a wooden patio. 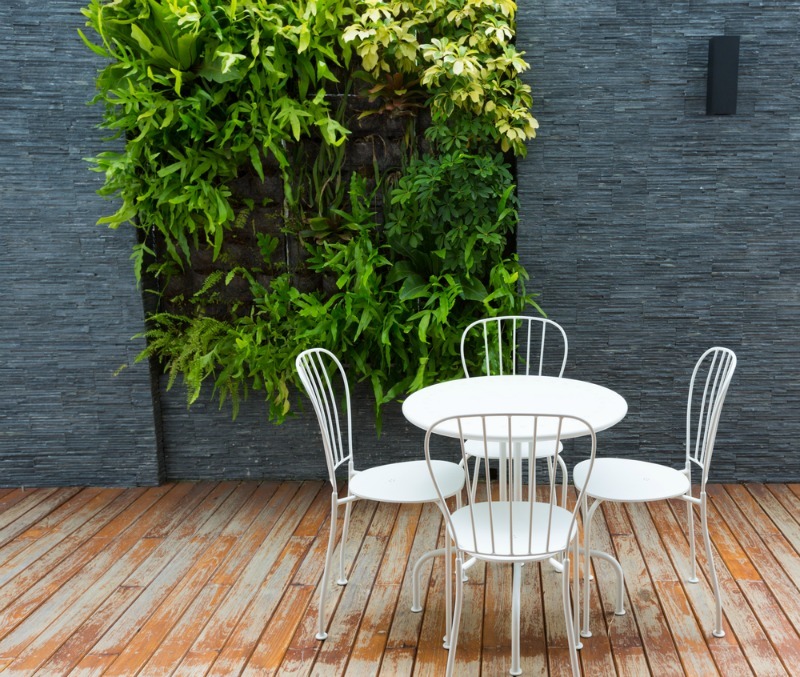 For elegant outdoor dining on a balcony or patio, select a glass-topped wrought iron table with matching chairs. 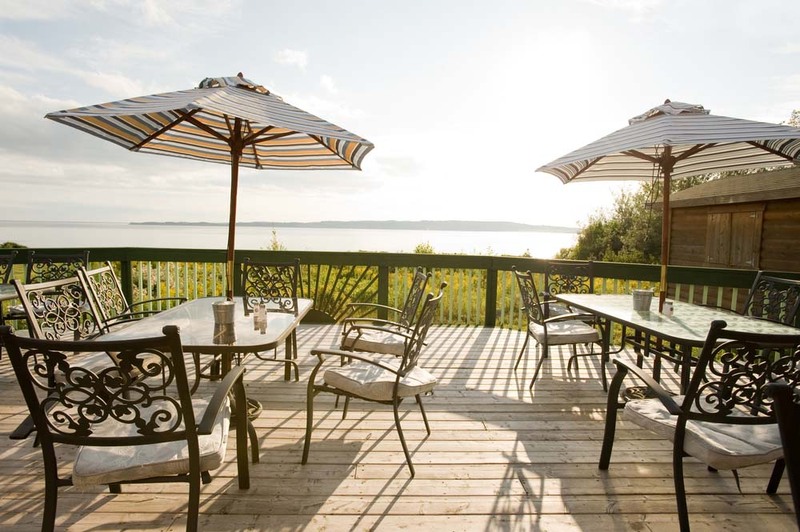 A center sunshade or umbrella provides cool shade for diners. 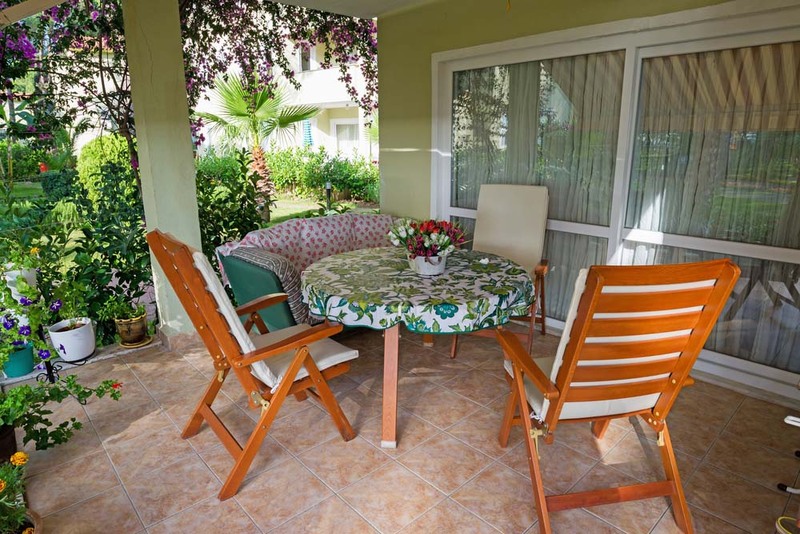 If your patio is next to the pool, you may want to invest in a few comfy and water-resistant lounge chairs, in addition to a more traditional seating area or dining area. 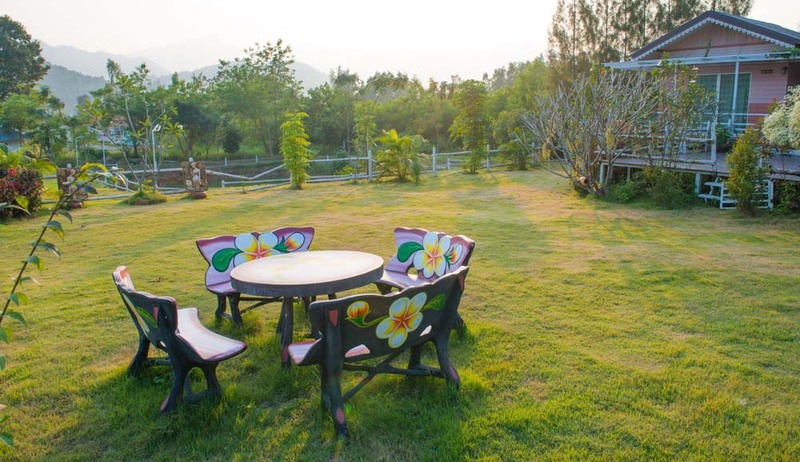 A custom-made dining set is carved and painted with beautiful flowers. 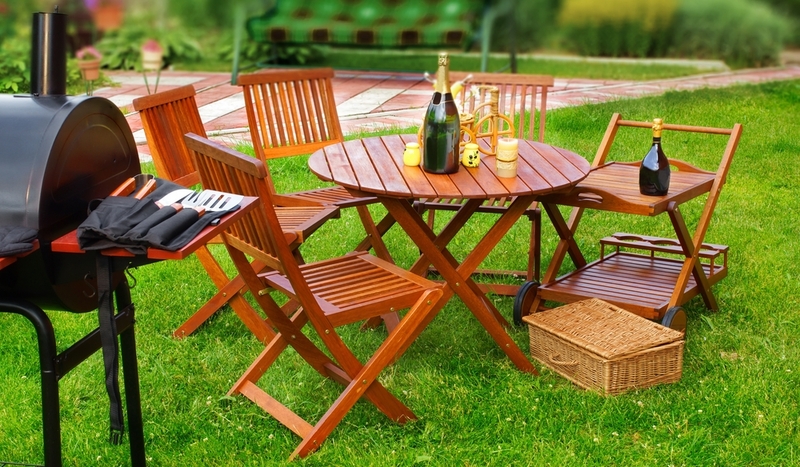 This table set would be perfect for quiet outdoor conversation or tea time. While these chairs and the matching tables may look delicate, they are utterly sturdy. These may need to be repainted from time to time to keep them looking bright and amazing. A hammock is a delightfully simple piece of furniture that can be hung between sturdy trees, or in a standing structure, as shown below. Hammocks are light and breezy and perfect for napping on a hot summer day. These wicker and cushion sofas can be arranged into two separate sofas or pushed together to form a cozy naptime nest. The cushions are removable, so you’ll want to store them when not being used to ensure they don’t fade or get damaged in inclement weather. These simple bamboo chairs are somewhere between a circle chair and an armchair, but all perfect for relaxing and chatting outside on a patio or deck. Pair with a matching coffee table or footstool. While these are by no means suitable for all yards, this rattan orb chair is perfect for alone time in the sunshine. The breeze will waft through the bars to keep you cool as you nap, read, or simply relax.